Constant Craving was written by K D Lang & Ben Mink. The song was recorded in 1991 and released in 1992 with a re-release in 1993 from the album Ingénue. C/F signifies a C chord leading with an F bass note. Beginners don't have to play the bass notes... it still sounds fine. Instead of C/F - play C; instead of C/D - play C; instead of D/C - play D.
| G - - - | Drums | means you play the G chord on the first beat of the bar and stop for the remainder of the bar and the following bar except for the drums. Transposition if you want to play in the original key of Fm: for all other transpositions, use the Free Service below the Song Chart. 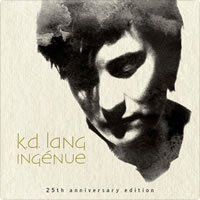 KD LANG chords and lyrics are property and copyright of their owners. "Constant Craving" chords and lyrics are provided for educational purposes and personal use only.